Democratic bodies are typically elected in periods of three to five years, yet citizen opinions seem to fluctuate daily and sometimes these mood swings grow to enormous proportions. When thousands of people all start tweeting about the same subject on the same day, you know that something is up. With so much dynamic and salient political diversity in the electorate, how can policy-makers ever reach a consensus that could satisfy everyone? At the same time, it would be a grave mistake to discount the voices of the internet as something that has no connection to real political situations. What happened in the UK was not only a political disaster, but also a vivid example of what happens when you combine the uncontrollable power of the internet with a lingering visceral feeling that ordinary people have lost control of the politics that shape their lives. People who have long entertained right-wing populist ideas, but were never confident enough to voice them openly, are now in a position to connect to like-minded others online and use the internet as a megaphone for their opinions. The resulting echo chambers tend to amplify and reinforce our existing opinions, which is dysfunctional for a healthy democratic discourse. 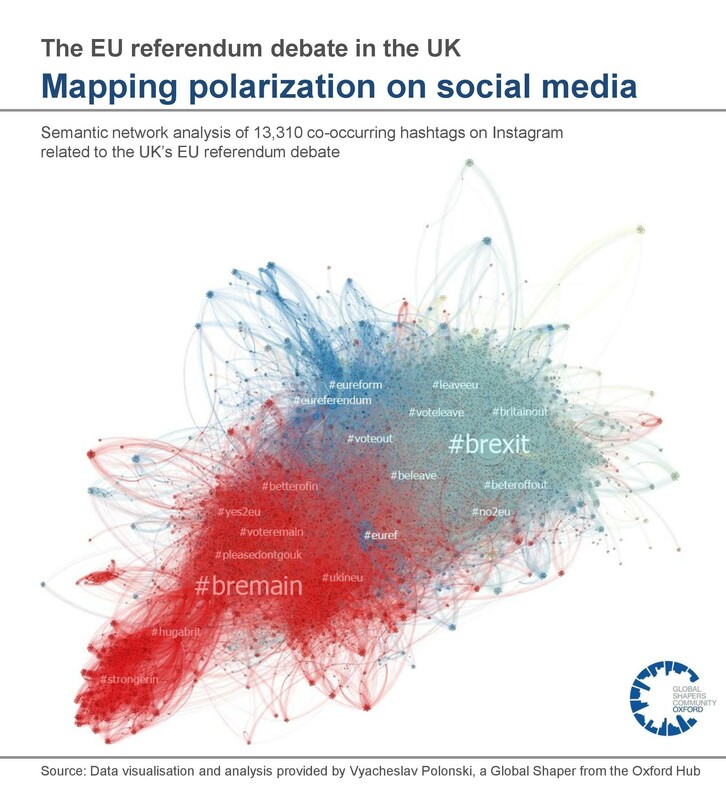 And while social media platforms like Facebook and Twitter generally have the power to expose us to politically diverse opinions, research suggests that the filter bubbles they sometimes create are, in fact, exacerbated by the platforms’ personalization algorithms, which are based on our social networks and our previously expressed ideas. This means that instead of creating an ideal type of a digitally mediated “public agora”, which would allow citizens to voice their concerns and share their hopes, the internet has actually increased conflict and ideological segregation between opposing views, granting a disproportionate amount of clout to the most extreme opinions.